The place where we celebrate lost lives is known by many names: funeral chapel, funeral visitation centre, and reception centre, to name a few. At St. John’s we are pleased to provide our diverse community with a space that can be specifically suited to their needs. 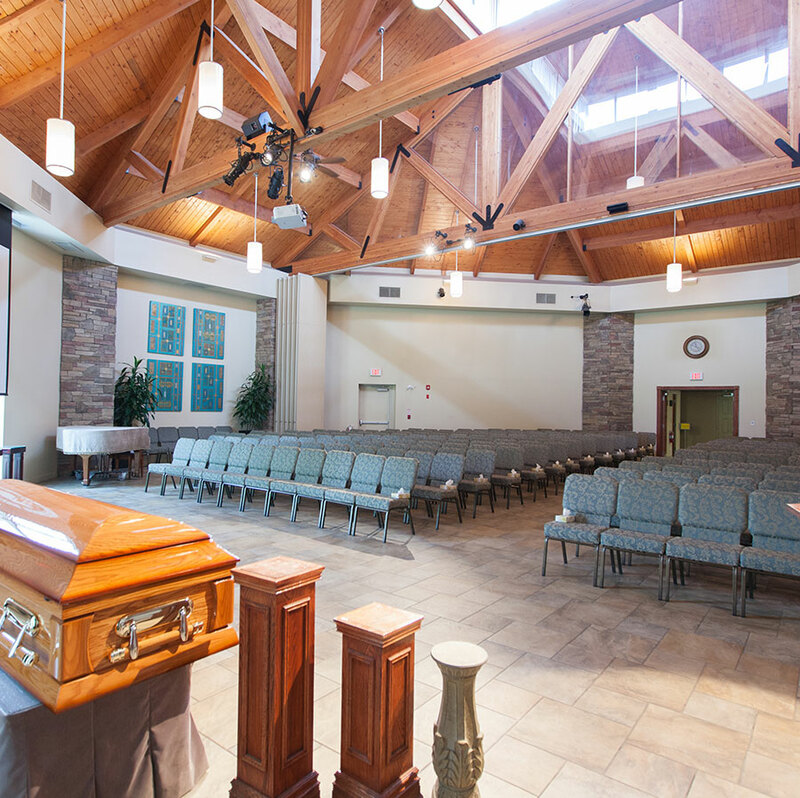 Our facilities provide an inspired and sacred space designed to serve any and all faiths and meet specific needs for funeral services, receptions, visitations, memorial services, and intimate family gatherings. The centre’s architecture and appointments were conceived by funeral professionals to provide families with a peaceful, functional space for mourning and celebrating a life. Great forethought and care has been put into the design to allow flexibility depending on the needs of the families we serve. 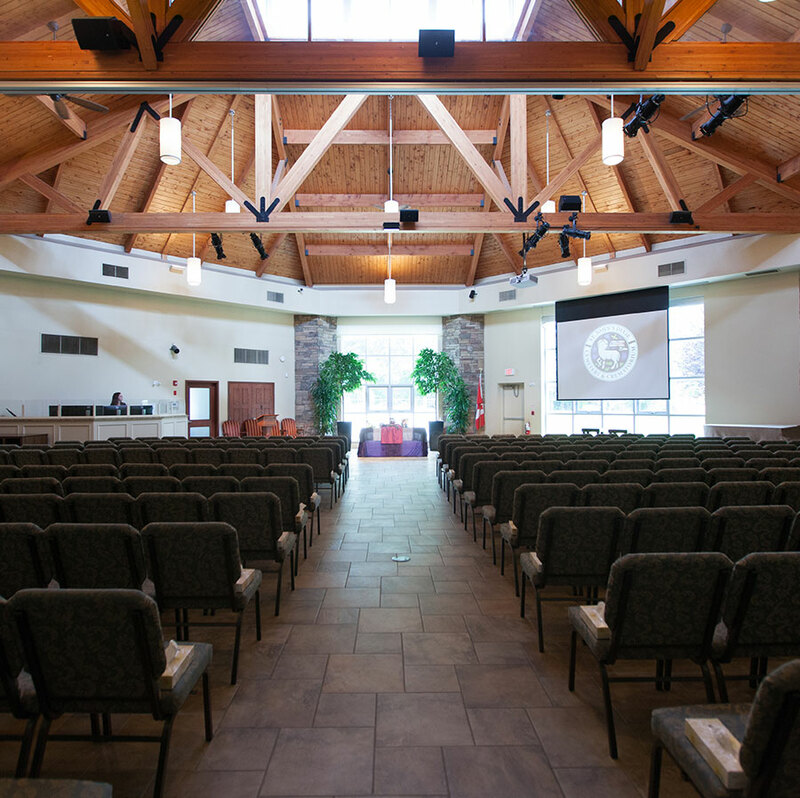 Our chapel has seating for up to three-hundred people and can be partitioned to provide smaller chapels and visitation rooms. 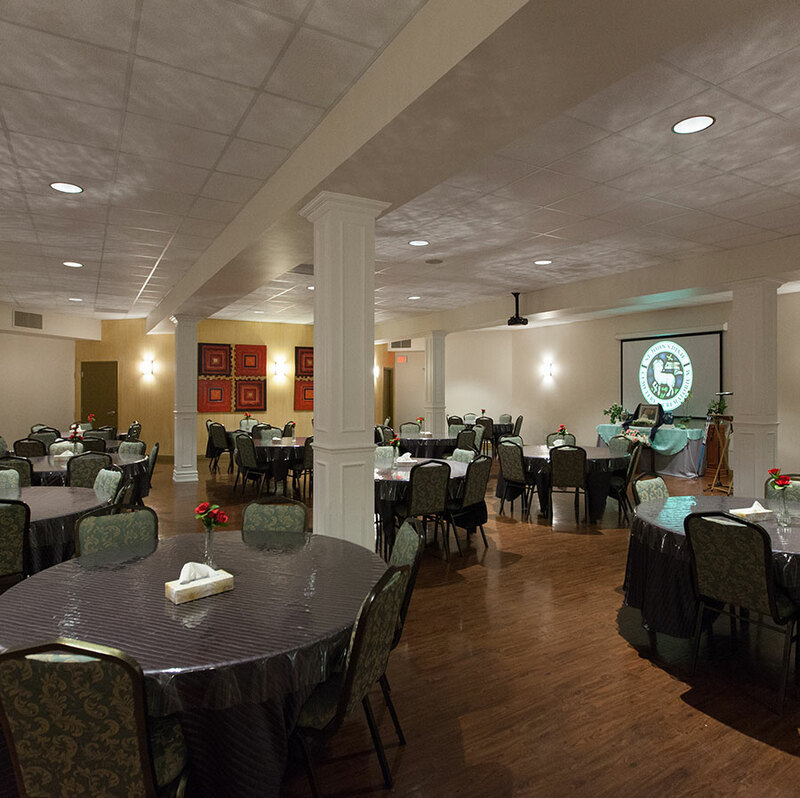 The reception areas are spacious and offer facilities for simple catering or hot meals. No matter what type of services your family chooses,we are confident that we will be able to accommodate them.